Product prices and availability are accurate as of 2019-04-11 00:43:12 EDT and are subject to change. Any price and availability information displayed on http://www.amazon.com/ at the time of purchase will apply to the purchase of this product. 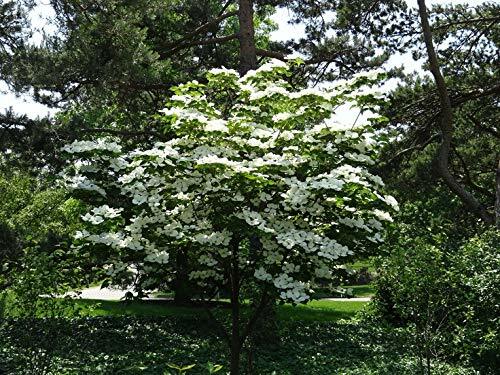 (3 Gallon) KOUSA DOGWOOD Tree - a deciduous tree with beautiful white blooms that appear in Spring and a leaf system that creates a showy white appearance throughout the summer. 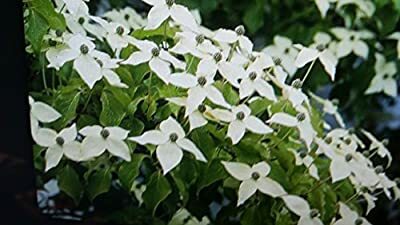 It is sometimes called the Chinese, Korean, or Japanese dogwood. 1-inch, round red sweet and juicy berries that are used for wine making or eating begin to appear in the summer but are harvested in the Fall. The leaves will transform from green to a vibrant red/burgundy in fall. This tree has great disease tolerance and a natural pyramidal shape. Shipping for orders received from California might be delayed, and can't ship any 3 gallon plants to California. The plants may be shipped in smaller pots/plastic bags for the safety of the plants. Most plants go dormant in Fall and Winter and will lose most of their leaves. Looking dead and dry is VERY NORMAL. They will flush out in Spring.